Father’s Day is fast approaching and with it an excuse to buy some cool gadgets for Dad, someone else…or yourself! Size doesn’t matter, right? Right; so have this thimble-sized scoop of ice cream while I enjoy my mega-sized banana split. You get my point. 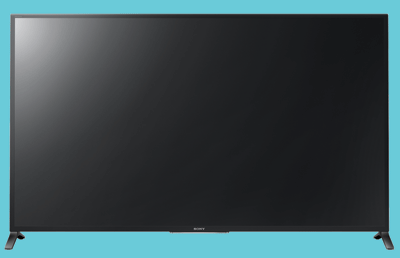 Speaking of size, a Sony KDL60W850B 60″ LED full HD 3D smart TV is a great way to tell Dad you love him—or at least hide him from view while he’s watching the hockey game. This monster is a “smart TV,” which means you can connect it by Wi-Fi to your home router; connecting you to Netflix and all those other Web-based TV services you’ve been reading about. 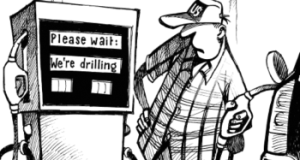 You can also browse the Web, or just—gasp!—watch television! This 60-inch behemoth has four HDMI inputs on the side, allowing easy connection of your Blu-ray or DVD player. Just $2,299.99 plus tax at www.futureshop.ca. 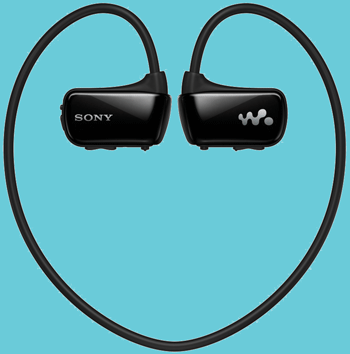 Flipping to the small size of the scale, Sony’s 4GB Wearable Wireless Waterproof Walkman headsets should have Dad totally confused – because there’s n o Walkman to be attached; it’s built into the headsets! This all-in-one MP3 player can store up to 8 hours of MP3s and recharge for another hour’s use in just three minutes. This Walkman is waterproof; Dad can even wear it swimming (or when falling into the pool). $79.99; again at www.futureshop.ca. My final Dad’s Day suggestion answers the boy in every Dad: namely a robot. 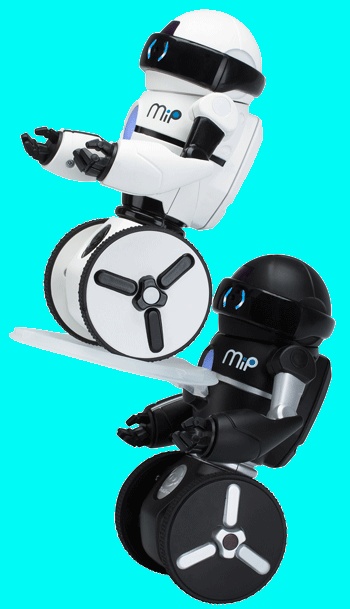 The WowWee MIP Robot is a 7-inch wheeled robot that can either be controlled by Android/Apple smartphone, or sent on its merry way using its on-board control system.